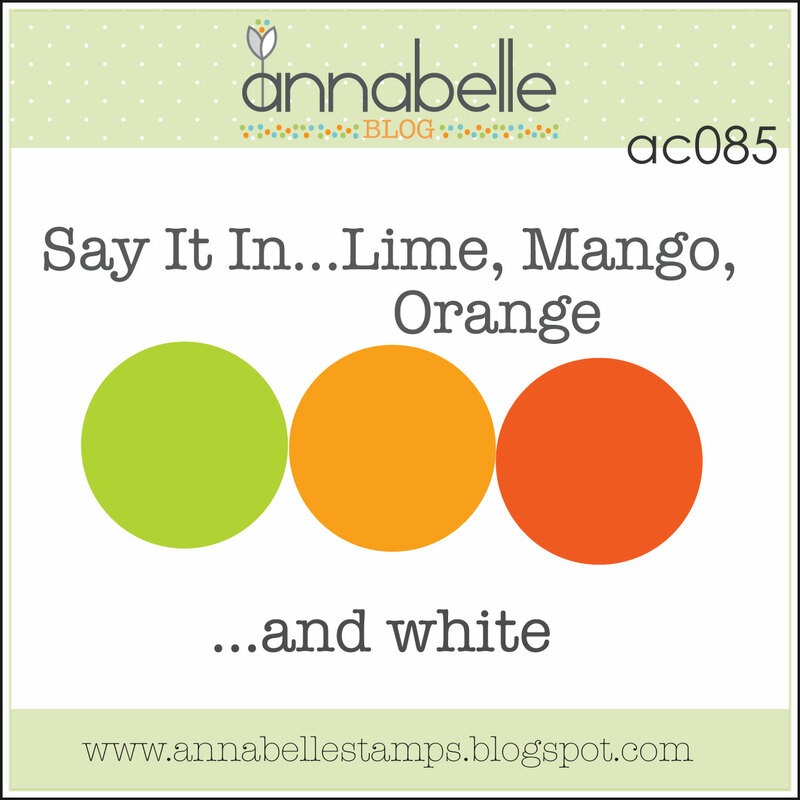 Today at the AnnaBelle Stamps blog we're Saying It In Lime, Mango and Orange! 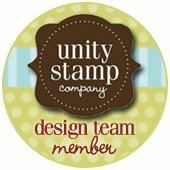 I used one sentiment from Squared Posies and repeatedly embossed it with AnnaBelle Stamps Clear Embossing Powder. It's probably one of my favourite techniques to do. 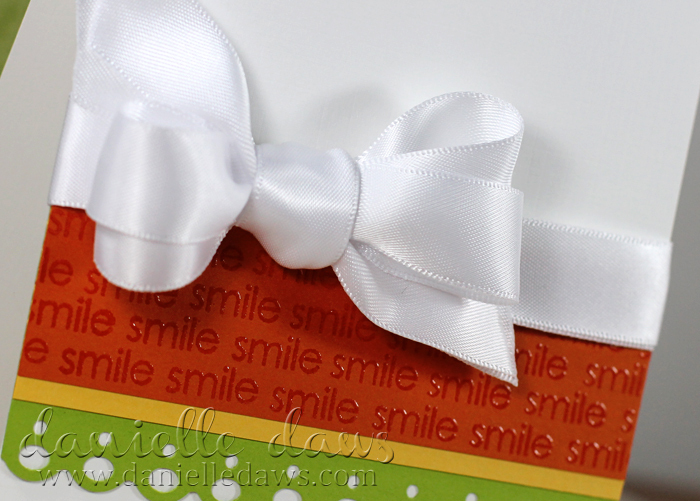 I decided to try a double bow with some White Satin Ribbon, and I'm really pleased with how it turned out! 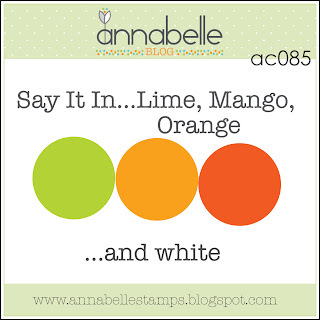 I also used Bazzill Card Shoppe cardstock from the Ribbon Carousel in Easter Grass, Banana Split and Candy Corn. Sooo pretty Danielle! 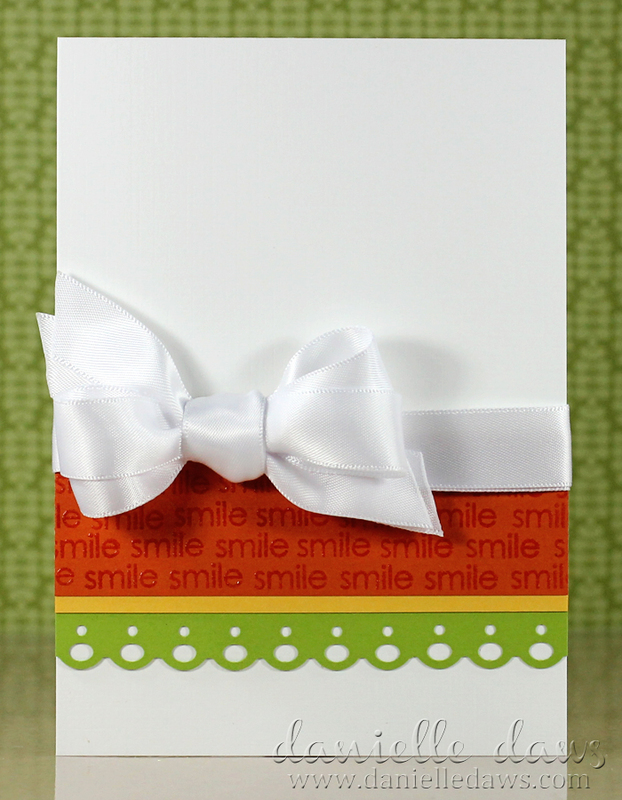 Love how you repeated the sentiment and that double bow is TDF! I love your card Danielle. The double bow is amazing and I love your repeated sentiment! What a beautiful card! 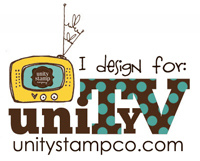 Love your bow, Danielle(you are the bow Queen lol)and love the embossed repeated sentiment and your whole card design is Awesome!